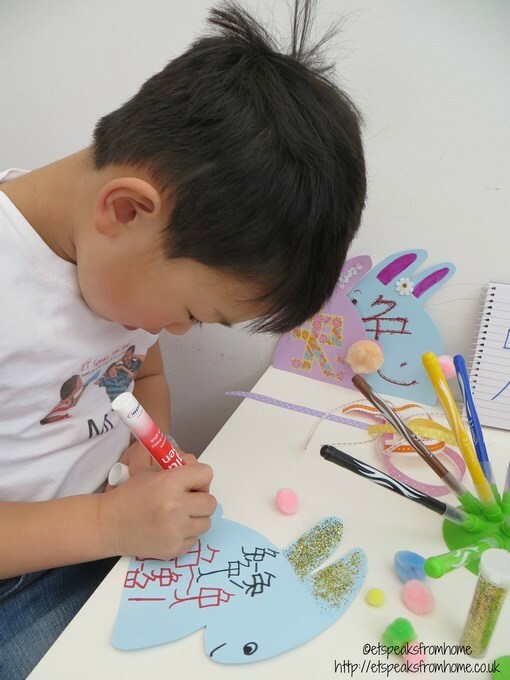 The main idea of this activity is to teach the children how to write the Chinese character rabbit (兔). I have created a few ways to decorate the rabbit. Ask the children to practise writing just one character or a lot of characters on the rabbit itself. This will help children to learn and associate the Chinese character to the animal itself. 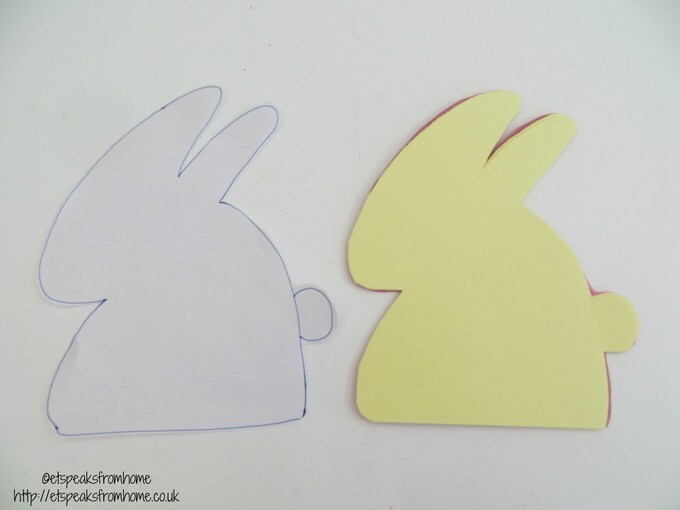 Draw a template of a rabbit as shown and cut it out. Place it on the coloured papers and cut the rabbit out. Either write out the Chinese character (兔) or print out on a piece of paper and ask your children to follow and write it out on the card. Decorate it to your own liking! You can either make it into an Easter card and use the tape discs to seal the envelope or make a few more rabbit cards to make a banner or use it to decorate the wall. This is my first time using the Glu Pen – it is so handy and easy to use. Simple dot a few drops and it stick very well. The tape discs comes in a nice circular shape. Simply peel it off and stick it wherever you want. Simple and easy for this craft. Look out for my ocean theme craft next month! 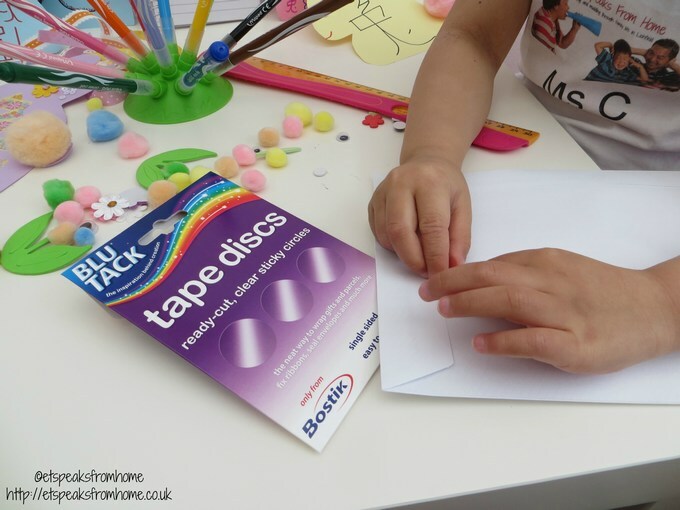 Disclosure: We have received a seasonal crafting box from Bostik as part of the Tots/Bostik Craft Bloggers Club. Contains affiliate links.